The devastation in Haiti has been horrendous, and the world has reached out with compassion to the people of that impoverished island. Most of us have given what we can to charities working to provide medical assistance, food and water. Hundreds of thousands have gone to the island to provide hands-on assistance – Red Cross, Doctors Without Borders, Paul Haggis’ Artists for Peace and Justice, and many others. One would certainly expect the Church of Scientology to reach out with compassion and generosity. And individual Scientologists have. Some Volunteer Ministers have gone to Haiti, and are doing their best to assist. Many Scientologists, as individuals, have donated to charities. But what is the Church doing? What has the Church given? Church spokesperson John Carmichael was quick to appear on New York’s WOR News on January 20. He even wore a bright yellow Volunteer Minister’s jacket, and bragged about how the Church had sent a plane with 50 medical personnel and “a bunch of” Volunteer Ministers. He was vague about how many VMs were sent, but other reports put the number at about 20. But had the Church actually funded the plane? Another report here states that it was actually John Travolta who funded the plane. So has the Church actually donated any Church (not parishioner) funds to the effort? Has the central Church made any sacrifice or contribution? The Church’s websites now sport a colorful button that says “Support the IAS funded Haiti Disaster Relief – CLICK HERE.” So is the Church donating anything towards Haiti relief? Or are they just using the tragedy to increase IAS donations? And what percentage of one’s IAS donations actually ends up helping Haiti? Well, we don’t know. There is no transparency as to the use of IAS funds. “The Church of Scientology has started to ship out dozens of Volunteer Ministers to give aid to the tens of thousands that need it. Similar to the situation when 911 hit the USA, we need to get as much Scientology technology into the hands of the Haitian people. “As we steadily increase the number of VMs being sent, so must we also increase the amount of Scientology tech into the hands of people. “Right now we (Bridge Publications Inc.) are requesting that every single Scientologist lend a hand in this. We will be shipping thousands upon thousands of Scientology Handbook booklets and other various basic Scientology tools to the VMs on site. They in turn will distribute these to the public on the ground while hatting them on how to use the tech. “All donations for fully tax deductible. Perhaps no one has told Patrick Howsen that the Haitian people do not need religious literature. They need food, fresh water, medical supplies. But I think Patrick knows that. I also think he knows that talking about those things won’t get his stats up. To get his stats up he has to use the disaster to get more book sales. What does he expect the VMs to do in Haiti? What does the Church expect these VMs to do? Back to John Carmichael in his bright yellow VM jacket at New York’s WOR News. John was asked, point blank, what the VMs were going to do in Haiti. He stated that they would be doing “spiritual first aid.” They would be doing touch assists. Again, the people of Haiti urgently need a number of things – mainly food, clean water and medical care and supplies. Touch assists are not high on the list of needs. John further talked vaguely about how they would be “helping to organize.” In other words – he doesn’t have a clue what they will be doing. But he does know that they will all have bright yellow T-shirts and jackets to advertise their presence. And he knows that they sent a photographer – a key member of the team – someone to photograph those VMs on the ground and get the shots back to Int Management PR so they can use them in the next event to reg more IAS donations and get more booksales…and around it goes. That doesn’t sound like really good planning or execution. Maybe the hospital didn’t see “spiritual first aid” as the highest priority. But, again, what is the Church actually doing? Well, they are crowing in press releases about how they have “over 200,000 Volunteer Ministers.” Well, where are they? If they have over 200,000 on call, then how come only a few dozen have arrived? And how come the Church, in all its press releases, is deliberately vague about how many VMs are actually on the ground? As of today, more than 400 Red Cross workers from around the world are in Haiti, working in concert with thousands of local volunteers. Where are the hundreds of thousands of VMs? Or is this just another one of those “stats” that they pull out of their hat to impress people – but when disaster actually strikes, they are nowhere to be seen. I have nothing but admiration for the many who have traveled to Haiti and are doing their best to help in whatever way they can. And that includes the individual Volunteer Ministers on the ground. 1. Using the tragedy to increase IAS donations, while allowing others (Travolta) to pay for the flights out – then bragging that “they” sent the flight. 2. Using the disaster to sell more and more books, under the transparent pretense that the people of Haiti “need” Scientology literature rather than food, water and medical supplies and attention. 3. Sending a few Volunteer Ministers with a photographer and with their bright yellow shirts and jackets to make impressive photographs to claim, as they always do, that “VMs were leading the disaster relief effort,” when in fact they are disorganized and ineffectual because of lack of real training and real briefing in the actual skills needed at a disaster site. Hundreds of thousands are working with dedication and compassion to bring real relief to Haiti. We must not allow the Church to get away with their usual opportunistic grandstanding and their naked greed in using this disaster to forward their own wealth and power. John Carmichael is so desperate. Joey Reynolds tells a story about Mother Teresa and there’s a great quote from her and Carmichael quickly brings up LRH and how he had great quotes too. Pathetic. The expedience point is true but also touch assists and giving out Way to happiness booklets and just plain disseminating scientology is helpful too. Not all areas on the island are likely in life and death mode, at this point I’m sure there’s some areas where VM’s can be offering some scientology solutions. We can’t say for certain that the church is hell bent on getting across an agenda only. DM himself not caring is real to me because he’s taking vacations while the academies are a flap, so Haiti too for him is probably no biggie. However it’s also understandable for me to use this to safepoint some the tech. The point where they’re falling down is in not just going in there and helping. As a pilot, for the next disaster they should try for no media coverage and let the camera come to them, in light of this so much criticism of Scientology taking advantage of disasters. I was at ground zero on Sept 12th and we were all organizing getting water and food mainly, setting up touch assists were secondary. The media and critics more than anything have set up this false picture of VM’s helping for less than pure reasons. If someone knows for a fact that money regged by the church to help in disasters goes towards other things then that’s another story, but I’ve seen no sign of that. For me, using a disaster site to proselytize one’s religion is repugnant, whether one is a Scientologist or a Catholic or a Jehovah’s Witness. Sure, if you believe in your religion, you are going to think that getting your religion to people is the most important thing you can do. But, in my opinion, when real disaster strikes, people should step away from their need to “save souls,” take off the crosses or yellow shirts, turn off the cameras, and just work to selflessly fulfill basic needs like food, clean water, medical supplies and assistance. Once the crisis is handled and life is back to a semblance of normal, then, OK, break out the Bibles or VM booklets. Boy, rebeloo8, you said it. After the LA Riots and the earthquake we had here in ’94. Scientologists give their time and their compassion with having to be micromanaged by management. We handed out water, clothing and helped the Red Cross distribute medical supplies on our own or in small groups because it was the right thing to do, not because it was a photo op! Nobody wore flashy T shirts or set up day glow tents to announce our arrival. One guy drove a beat up pick-up truck around the parks where various tent cities were set up and handed out bottled water. Some Harley riders who were Scientologists with others who weren’t parked guard in front of small shops or stores to prevent looting. A bunch of us went to the Fire Station, donated food and clothing plus talked to the Fire Fighters ourselves to see if there was anything we could do. 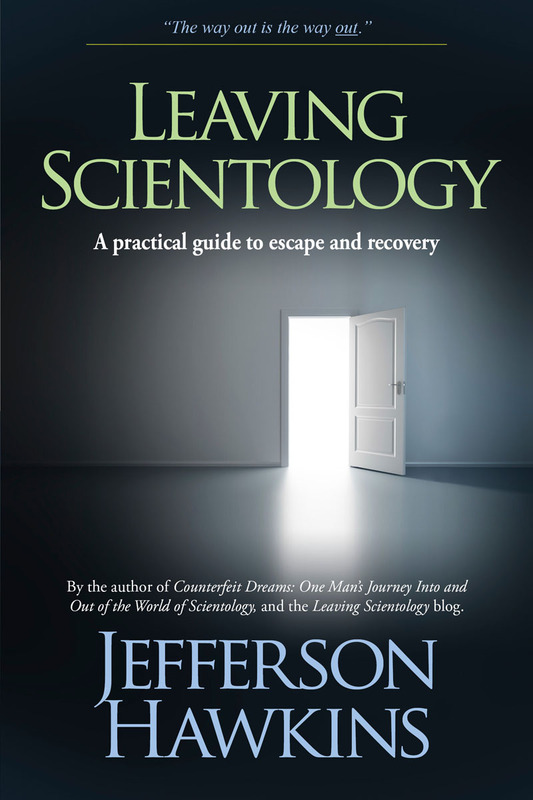 The Church management itself had to run to catch up to what many Scientologists were doing out of the goodness of their hearts or because they had friends and relatives who were affected by events. Now its all some kind of staged event, like everything else in the organization has become. I’m not privy to the inner workings of Int Management or dm as some here have been, but I can read an email (Patrick’s) and I can do the math. If the books cost the church “X” to produce, and they collect “5X” for each book that they sell to be donated, and the transportation to Haiti is provided free by others (in this case, JT), then there is approximately “4X” left over (called profit) that the church retains. A church making a profit from human pain and suffering is immoral. It is so far beneath the group who are contributing to it, and who are actually perpetrating it, that it cannot be defended. So these brochures/books purchased at full price by scienotolgy public are sent to Haiti to be given away to people who really need water, medical attention, food, shelter or help in finding lost loved ones. The books may not even be printed in the languages (French and Creole) spoken by the people; many many Haitians are illiterate and cannot read at all. Over a million and a half people are homeless. Where the hell are they going to keep their new book?! Despite the fact that these books contain valuable tech, their relative value to the Haitian people is very low at this point. COB tells you differently, staff tells you differently, and there’s a huge amount of group think on this, but it’s only common sense. Confront the scale and character of the scene that is actually in front us. shots of yellow-shirted volunteers “helping” at the latest disaster site. Because those photos and the concocted, bs stories that will accompany them at the next international event will mean millions more dollars reg’d for IAS cofferes. If that doesn’t make you sick, you’re not paying attention. When Germany fell and their dollar was worth nothing, the Germans were burning their paper money just to keep warm in the depth of winter, this will probably happen to those books being donated by the CofM, they are so off target, its unbelievable. Lets put it this way, if I was homeless and my child and I were starving and cold and a VM comes along with a fricking book. I would say thank you for the fire fuel to keep my family warm. Good post. I get your point. Looks like there is a lot of BPC on this one though. I think there are a lot of people who have never gone to a disaster site who are dubbing in a lot of stuff on this one. I think a key piece of this story that is drawing ire is Patrick’s e-mail. I actually see that as possibly just a single person’s stat push. Maybe not, but it could be. I had a similar experience when I was running a VM activity. One of the local book store officers started calling around in my name to get books donated for me to “help” me. I had handled that area already and did not need that help and it actually detracted from my real needs. Just a simple stat push by one staff member. All it did was hurt me and dev’t me. Sad. Cool that you were at ground zero. I was not, but I was at Katrina. I’ve been a Volunteer Minister. I’ve been to the site of a disaster. 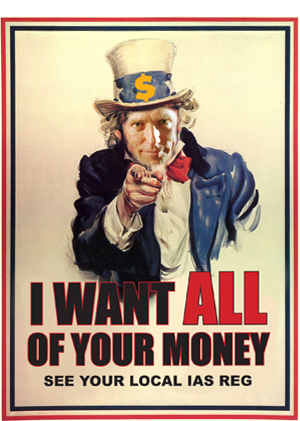 I know that every single Volunteer Minister must pay their own way, the Church of Scientology provides nothing. I know that the VMs bring NO food, NO water, NO medicine, NO clothing, NO supplies, the Church of Scientology does not provide ANYTHING to help the victims. The Church of Scientology collects money “for disaster relief” and yet pays out NOTHING. Travolta donated the plane. The VMs are all paying their own way. The Church of Scientology does not and has not provided ANYTHING to the victims. That is profiting from human suffering. That is EVIL. Thank you for being a VM, and for having the guts to help, and for being willing to do it even without the support you deserved from your church. The practice of sending VMs (on their own dime) with bright yellow shirts to these disaster areas is at best a lame attempt to get good PR from turning a “tragedy” into a “tragetunity” and at worst a further drain on an already taxed infrastructure bringing NOTHING of value to the table. After 9/11 these VMs (Often called Vulture Ministers for obvious reasons) were overheard smugly bragging amongst themselves how they kept people away from mental health experts. This is dangerous. Touch assists and “Way to Happiness” comic books? Please. The only people who should be allowed into the danger zones are those who actually have value – medics, heavy equipment operators. If I was in charge of the operation none of these self-important wackos would get near the op. Seems, they read your blog. Possibly you have already heard in the news how the Volunteer Ministers are busy in Haiti bringing relief to those in need after the 7.0 Earthquake, because it’s in the news across Europe!!! And rest assured, we will still be many times in the media, because we will not go back till the job is DONE!!! But what do we consider our job? Well, the next few lines will give you the project that is already underway and all fully financed by the IAS — or in other words by YOU with your continued support. 1) 400 Volunteer Ministers are needed on the ground at any given week and we need to rotate them every two weeks due to the harsh conditions. 4) Flights for VMs from anywhere in the world. 5) Living and operational expenses. 6) Five different bases in different locations. 7) Tent citicites set up at 15 different locations. 8) A ship going to haiti every 2 weeks with medical supplies, food , water, sanitation kits, first aid kits, ready-made baby food, baby formula, clothes etc. The estimation of medical supplies is 50 tons. 10) Soup kitchens and supplies for VMs, relief workers and Hatians in different areas that will provide food on a 24-hour basis so our VMs and medicos can continue to perform their duties. 11) Water sources (wells) purified and sanitized so they are usable. 12) 100 VM groups established. If you go on http://blog.volunteerministers.org/ you can get at any time the latest updates on how far the above plan has progressed as well as the latest news. The purpose of these IAS-sponsored actions is to bring a country back on its feet through the implementation of the VM tech. Now one questions remains. How can you be part of it? Well, there 2 things. If you can go to Haiti, you are most welcome! But if that is impossible make a donation now! Upgrade your status or make a big step towards the accomplishment of your next status. IMPORTANT: At the bottom of the form you find the following field — “Any comments you would like to make” Write in there “Europe Unites for Haiti”. This is important for administrative purposes. If you cannot make your donation over the Internet, please let us know right away by answering to this e-mail so we can assist you from here. If you don’t wish to receive more emails from us, please reply to iaswqsbeu@gmail.com. Well, it’s all talk. If they were serious about disaster response, they should put their VMs through the Red Cross disaster response training courses, at http://www.redcrosslv.org/disaster/disasterclass.html. Right now they don’t have a clue as to what to do. And notice, there is NO funding or personnel coming from the Church itself. So, it is another nice trick by the the PR-machinery.